No sooner than we distribute most of our Louisville supply of clothing donations, more come in! Our President, Khamiss Youssif stands to the left and Yagoub Omar Adam looks on from the middle next to Mohammed Adam, our Vice President in this group picture taken Oct. 26, 2015 in Louisville, Ky. These donations were received and processed during the past week, and the board will be deciding whether or not they should be distributed locally or sent on to new arrivals in another city. 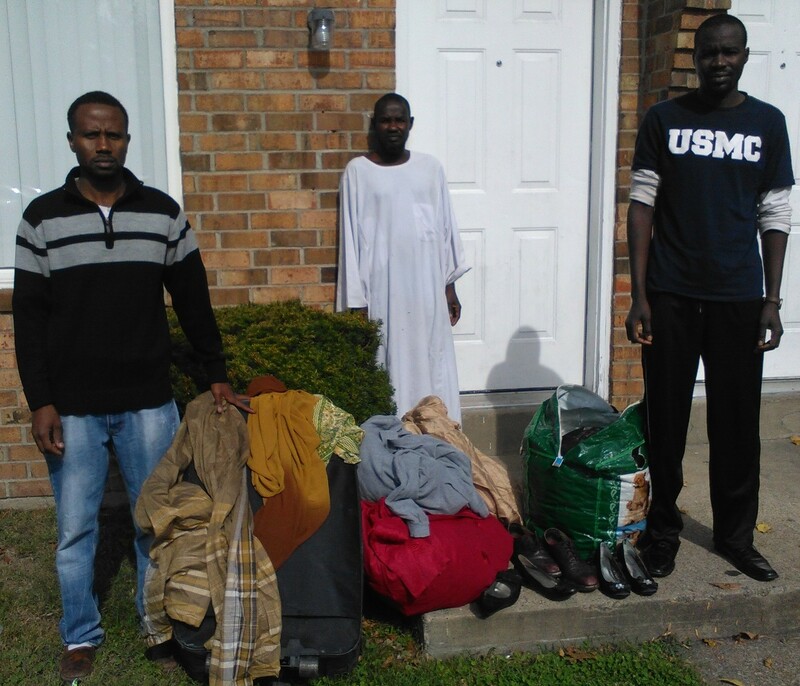 Our thanks to our Treasurer, Mohammed Abdulrahman, for sending us some of the clothing pictured here.